Lucia Carlucci was born in 1963. She obtained the “Laurea” degree (1989) in Industrial Chemistry and the PhD (1993) in Chemical Sciences from the University of Bologna. In 1989 she spent six months at the University of Liverpool (UK) supported by an Erasmus grant and working in the laboratory of prof. B. T. Heaton. 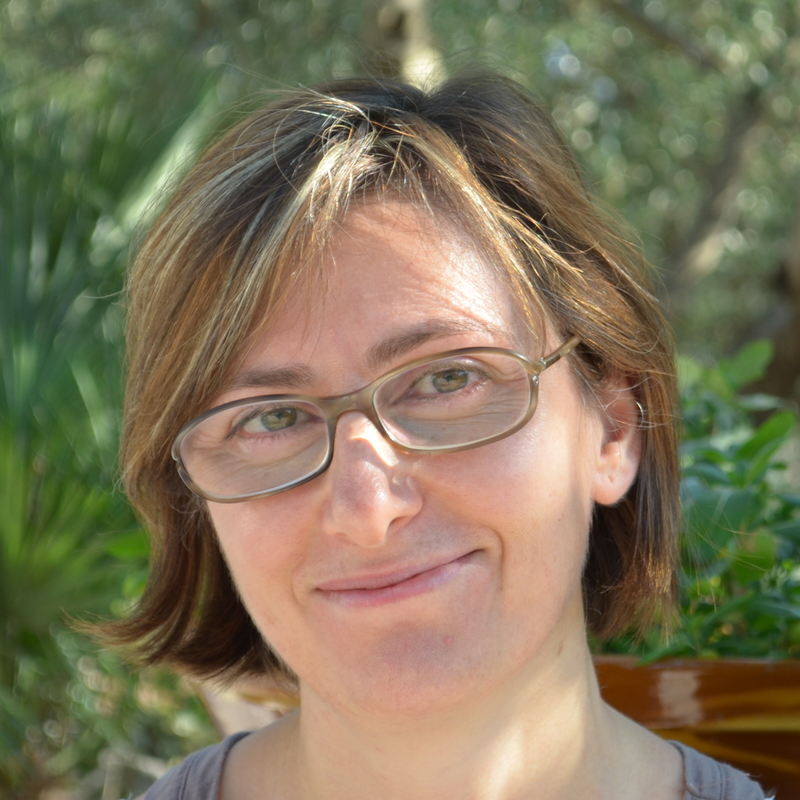 From 1993 to 2010 she has been an Assistant Professor at the University of Insubria (1993-2003) and University of Milan (2003-2010). From 2010 she is an Associate Professor at the University of Milan. Her early scientific interests were devoted to the organometallic chemistry and in particular to the study of dinuclear amino-carbene complexes of iron and ruthenium and to the hydride-carbonyl dimers of rhenium. Then her main interests moved to the synthesis and characterization of coordination polymers (CPs), Metal-organic frameworks (MOFs) and supramolecular architectures. She gave a fundamental contribution setting up the first laboratory for synthesis of coordination and organometallic compounds at the ex Dipartimento di Chimica Strutturale e Stereochimica Inorganica of the University of Milan. More recently, her main scientific activity in the field of coordination polymers is focused onto the design of new rigid and flexible multi-donor nitrogen ligands, the obtainment of self-assembled coordination networks (eventually developing ad-hoc strategies) and their structural characterization through X-ray diffraction and topological analyses. She collaborate with the group of prof. K. Kaneko (Shinshu University) to the gas adsorption in MOFs. She is co-author of 83 publications on international journals including some invited papers, a book chapter and several communications to conferences. She is the European project leader for the Concert-Japan “NASEM: Nanoradiator-Equipped Adsorbents for Safe and Energy Saving Methane Storage” project funded in april 2013. 1). A. Kondo, H. Kajiro, H.Noguchi, L. Carlucci, D. M. Proserpio, G. Ciani, K. Kato, M. Takata, H. Seki, M. Sakamoto, Y. Hattori, F. Okino, K. Maeda, T. Ohba, K. Kaneko, H. Kanoh, Super Flexibility of a 2D Cu-Based Porous Coordination Framework on Gas Adsorption in Comparison with a 3D Framework of Identical Composition: Framework Dimensionality-Dependent Gas Adsorptivities, J. Am. Chem. Soc., 133, (2011), 10512. 2). L. Carlucci, G. Ciani, D. M. Proserpio, M. Visconti, The novel metalloligand [Fe(bppd)3] (bppd = 1,3-bis(4-pyridyl)-1,3-propanedionate) for the crystal engineering of heterometallic coordination networks with different silver salts. Anionic control of the structures, CrystEngComm, 13 (2011), 5891. 3). L. Carlucci, G. Ciani, S. Maggini,D. M. Proserpio, M. Visconti, Hetero metallic Modular Metal-Organic 3D Frameworks Assembled via new tris b-diketonate metalloligands: Nanoporous materials for anion exchange and scaffolding of selected anionin guest, Chemistry-a European Journal, 16, (2010), 12328. 4). L. Carlucci, G. Ciani, S. Maggini, D. M. Proserpio, A New Polycatenated 3D Array of Interlaced 2D Brickwall Layers and 1D Molecular Ladders in [Mn2(bix)3(NO3)4] ·2CHCl3 [bix ) 1,4-bis(imidazol-1-ylmethyl)benzene] That Undergoes Supramolecular Isomerization upon Guest RemovalCrystal Growth & Design, 8 (2008), 162. 5). Kondo, H. Noguchi, L. Carlucci, D. M. Proserpio, G. Ciani, H. Kajiro, T. Ohba, H. Kanoh, K. Kaneko, Double-Step Gas Sorption of a Two-Dimensional Metal-Organic Framework, J. Am. Chem. Soc., 129 (2007), 129, 12362. 6). L. Carlucci, G. Ciani and D.M.Proserpio, A new type of entanglement involving one-dimensional ribbons of rings catenated to a three-dimensional network in the nanoporous structure of [Co(bix)2(H2O)2](SO4)·7H2O [bix = 1,4-bis(imidazol-1-ylmethyl)benzene], Chem. Commun., (2004), 380. 7). L. Carlucci, G. Ciani, D. M. Proserpio, F. Porta New open network architectures from the self-assembly of AgNO3 and 5,10,15,20-tetra(4-pyridyl)porphyrin building blocks: the exceptional self-penetrating topology of the 3D network of [Ag8(ZnIItpyp)7(H2O)2](NO3)8, Angew. Chem. Int. Ed. Engl., 42, (2003), 317. 8). L. Carlucci, G. Ciani and D.M. Proserpio, Polycatenation, polythreading and polyknotting in coordination network chemistry, Coord. Chem. Rev., 246, (2003), 247. 9). L. Carlucci, N. Cozzi, G. Ciani, M. Moret, D. M. Proserpio and S. Rizzato, A three-dimensional nanoporous flexible network of square-planar copper(II) centres with an unusual topology, Chem. Commun., (2002), 1354. 10). L. Carlucci, G. Ciani, M. Moret, D. M. Proserpio and S. Rizzato, Polymeric layers catenated by ribbons of rings in a three-dimensional self assembled architecture: a nanoporous network with spongelike behavior, 39, Angew. Chem. Int. Ed. Engl., (2000), 1506.